Personalized Beer Mugs, Wine Glasses and So Much More . . . 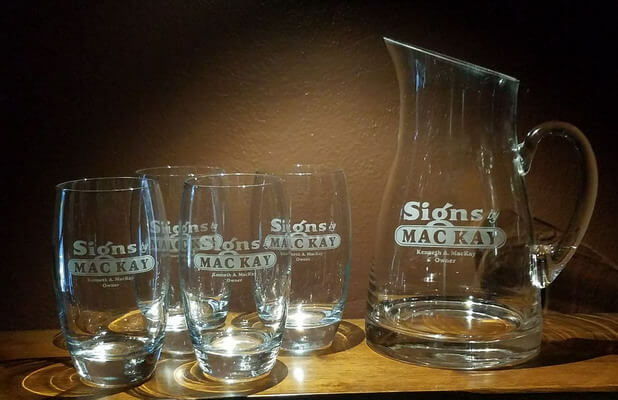 Here you can find personalized engraved glassware including beer mugs, curved glass picture frames, barware and stemware for weddings, groomsmen or bridesmaid gifts, anniversaries, birthdays, holidays, other special occasions, or just for yourself personalized to your specifications. All of our glasses are deeply engraved (sandblasted) which means it is permanent and will not wash off as in screen printing.